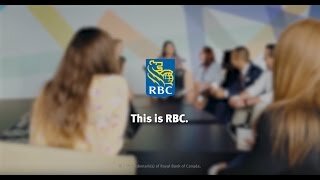 As an RBC Investment and Retirement Planner, you create custom investment solutions for prospective and existing RBC clients. Alongside your own prospecting and networking activity, you are fully supported by internal partners who send client referrals your way. Your creativity, motivation, and drive for new investment sales will enable you to provide world-class advice and solutions that help clients achieve their long-term financial goals. Royal Bank of Canada is Canada's largest bank, and one of the largest banks in the world, based on market capitalization. We are one of North America's leading diversified financial services companies, and provide personal and commercial banking, wealth management, insurance, investor services and capital markets products and services on a global basis. We have over 80,000 full- and part-time employees who serve more than 16 million personal, business, public sector and institutional clients through offices in Canada, the U.S. and 37 other countries. For more information, please visit rbc.com . We are looking for an individual who is mobile to the following communities- Swift Current, Ponteix, Shaunovan, Cabri, Gull Lake.